They don’t come to life like they did when I was 6, but the nostalgia and love of crafting them for my own children is enough to keep me enamored with such magical possessions. 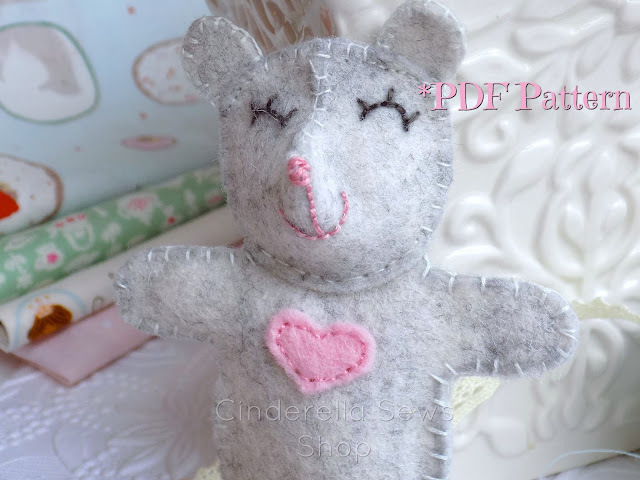 Is there really anything more enchanting than a handmade toy? They never ask for anything and offer so much to children. My youngest son is absolutely at the stage where he wants to do nothing, but play with tiny toy dinosaurs and zoo animals. Carrying them around, he never has big enough hands to hold them all. Whoa-be to the household’s ears if he drops one! Pondering Christmas gifts to make for the kids this year, I settled on a little walnut pouch he could stuff with tiny Dino’s and carry around the house. Thinking about a little buddy he could also add to his menagerie, I came across one of my childhood toys in an old trunk. After reading a short story in an American Girl magazine about a little toy bunny who is the port in the storm of a little girl's parents' messy divorce. The girl loses her bunny in a neighbor's tree when things get particularly painful between her two new step-families. Distraught, she runs home and later runs away in the dead of night to comfort her bunny who is lost in the tree. She is later found by her parents and the elderly neighbors whose Mulberry Tree has now been turned into a little bunny home with matching furniture and clothes. Things improve between her families, and the neighbors love having her play in their garden with her pet bunny, Radish. Being odd growing up, I didn’t have many friends. That little bunny went to school with me in my sweater pocket everyday my third grade year. I made her hand sewn clothes, q-tip and card board chairs, and raided my Barbie accessories, so she’d have everything a sentient pocket bunny could want. I had one friend at school who also felt the odd duck out too, and our teacher often let us stay inside for recess. Huddled happily together under our desks with our smuggled companions, we had many grand adventures with our furry friends. 20 years later, I find myself still loving tiny things and plush fur babies! Currently raising live quail for eggs and as pets, I also have a rescued hamster who keeps me company in my craft room. When thinking of a buddy to make for my son’s walnut pouch, a mouse seemed to be the best option with Christmas on the horizon. She's just the right size for making bitty clothes and tiny bears. If her ears are a little bent, she can also be tucked into a mint tin (you know that tutorial is coming soon 😉). 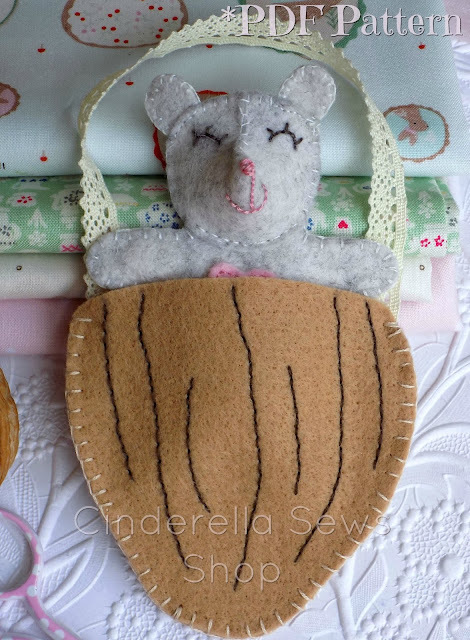 Miss Marie Mouse and her Walnut Pouch take between 1-3 hours to make, depending on your sewing level and you can download the pre-sized pattern, full tutorial, and full-color photos by clicking here. Thinking about other Christmas sewing projects and gifts I need to make, the thought of having a Christmas Critter Sew-a-Long came to me! Since most of my sewing friends are on Instagram, that's where the sew-a-long will be held! For everyone who participates and tags @cinderellasews with their progress and final fur babies, I’ll enter your names in a drawing for a giveaway! For those who purchase a pattern from my shop, you'll be entered an extra FIVE times in the drawing! Wool felt sheets, a set of hand-sculpted sewing pins made by me, and a few other goodies will be in the giveaway, and you can follow along on my Instagram page! The Sew-a-Long will begin December 1st and run for two weeks.